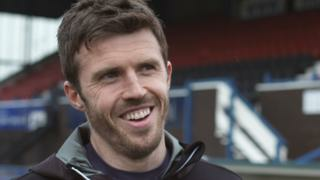 Manchester United midfielder Michael Carrick recalls how he began his football days as a striker, playing upfront at the famous Wallsend Boys Club in North Tyneside. 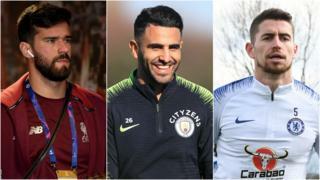 Carrick jokes that ever since then, he has been moved further and further back through the teams he has played for, operating in his established central role, but also being deployed as a defender. Watch the full interview on Football Focus, live from Wallsend Boys Club, 1210 BST, Saturday April 5, BBC One and the BBC Sport website.